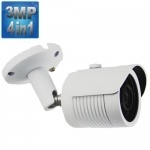 What is a 4-in-1 CCTV Security Camera? Hawk 3mp 1080p Security Camera with a Sony Lens, 60 Meter Led night vision and a massive 2.8mm - 12 mm Varifocal 3 Mp low light Lens. This camera has an osd menu button and so is compatible with all Analogue & 1080p Dvr Recorders. The Hybrid Security Camera can be set to Ahd / Tvi / Cvi / CVBS (Analogue / 960h) dvr recorders, if the image is set to cvbs then it is downscaled to fit older analogue dvrs, then if a new Hd dvr is purchased simply set the camera to one of the Hd formats an it will work with all Hd dvrs including Hawk, Dahua & Hikvision. 4 in 1 Security Cameras is the latest advancement in technology which replaces older cameras such as analogue, Tvi, Cvi, Sdi, Ahd Security cameras. 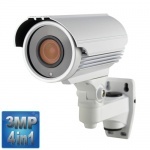 our CCTV Cameras are reverse compatible and have the option via the cameras on-board menu to be Ahd, Analogue, Tvi & Cvi, it is made with a Sony lens and is full 1080p thanks to its 3 Mp lens. 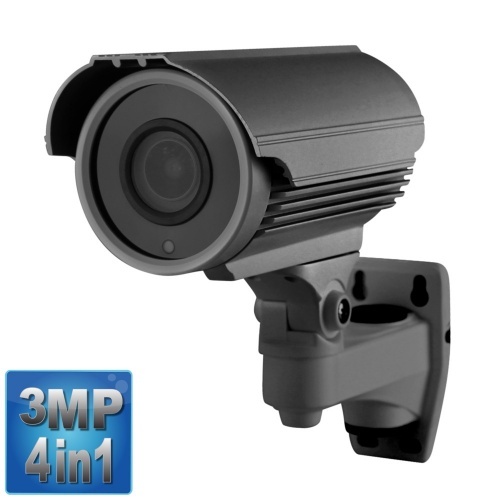 Because it is a 4 in 1 Camera with a Sony lens it has low power consumption & Led night vision for crisper images in the dark and includes a second board which has an Ir Cut filter which enhances facial recognition at night time by reducing the night vision glare on a persons face. Available in White or Dark grey. 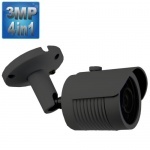 Most manufacturers use a 2.4 Mp lens for their 1080p cctv cameras, however the new Hawk 1080p Hd camera actually uses a 3 mp lens which not only allows for clearer images but also it enable you to use digital zoom to a greater level before the image quality starts breaking down or becomes pixelated. When a camera's power fluctuates due to a spike or surge in the power, which is actually a very common occurrence, it causes damage to the camera board and can cause permanent quality damage in the picture, and may even lead to the camera failing. All our Hawk cameras come with a wide voltage dual ccd board. This means that our cameras are able to run off voltages from 8v to 18v, so if there is a spike in the camera's power or the camera's power adaptor it will not affect the cameras. 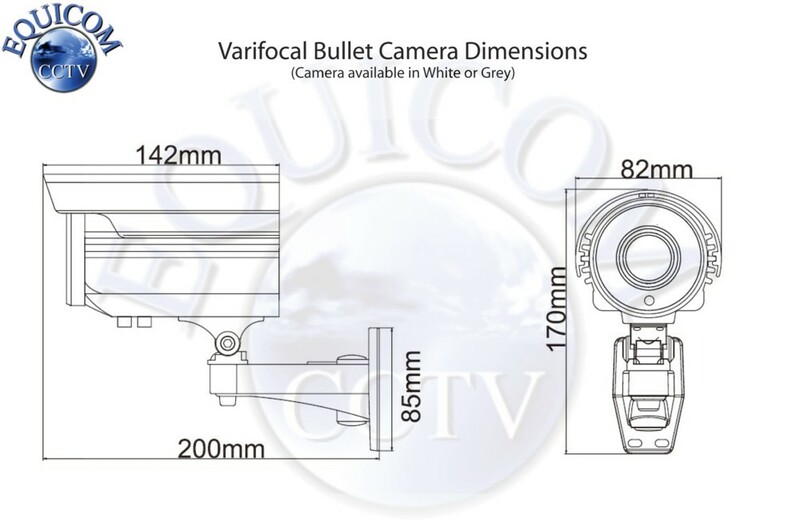 All varifocal Hawk cameras are 2.8mm to 12mm unlike the older cheaper models which are 4mm - 9mm. With all these factors we believe our cameras are of the highest quality and best value for money.